A 2-4 player game for natural magicians and careful readers alike, based on the cult-classic book by Susanna Clarke. 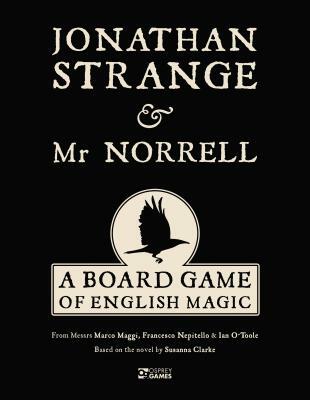 Take on the role of an aspiring magician, including the titular characters Jonathan Strange and Mr Norrell themselves, and start them down the path to greatness. Build up your power and status by travelling across Europe and London, performing feats of magic and attending social engagements. The most celebrated magician will face the gentleman with the thistle-down hair, but only the strongest will defeat him.